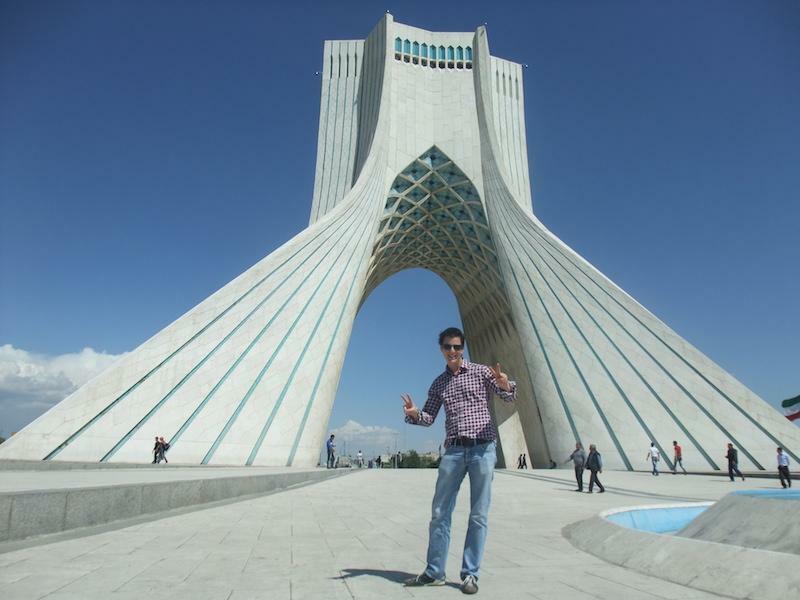 Aug 11, 2015 . . .
Michiel, a 28-year-old supermarket supervisor from Tilburg in the Netherlands, has traveled to more than 40 countries around the world, including Iran. He went to Iran for the first time in April 2012. Since then, he has been there four more times and says he would like to go back in the future. Iranian culture, food and people all inspire him — as does his fiancee, an Iranian girl named Nina. 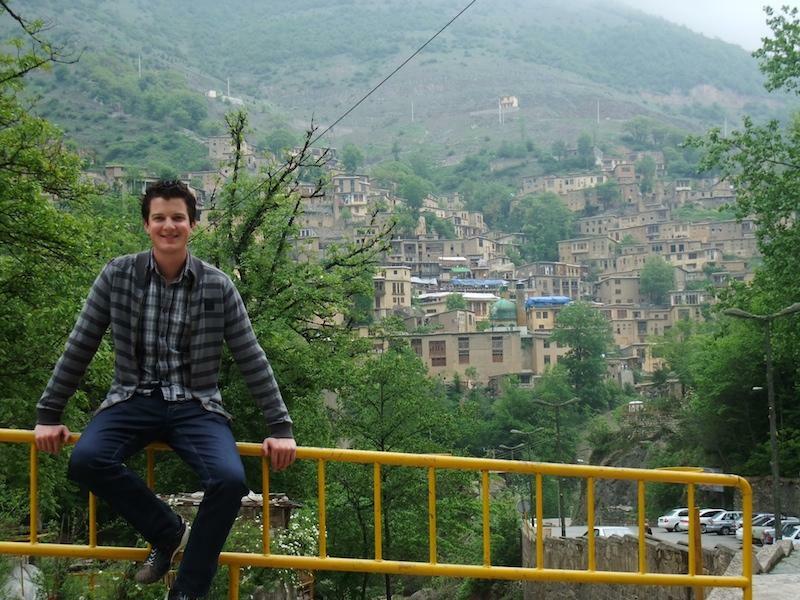 I spoke to Michiel about what it was like to be a tourist in Iran. Why did you decide to go to Iran for the first time? Before going to Iran, I traveled to various countries for a period of six months. I was in Istanbul, where I met Nina, my future wife. She went back to Iran and I kept following my original plan; we met each other again during my trip. We had been in a relationship since December 2011, so I decided to visit her and her family in Iran in April 2012. This was the main reason I travelled to Iran. I also like to travel, explore different cultures and visit different countries. How many countries did you visit during your six-month trip? I went to 17 countries during those six months. We (me and my friends) started from Europe and then traveled to Turkey, Egypt, Jordan, Dubai, India, Nepal, China, Japan, Australia and New Zealand. In total, I have visited more than 40 countries. What did you imagine Iran would be like before you visited? I had never thought about travelling to Iran before meeting Nina. I didn’t have any idea about what was going on there or how the country is. Of course, I knew about the political situation and the Islamic rules and restrictions, what you usually see in international media. I think it is the same for other westerners, because when I talk to them about Iran, they don’t have any clue about what I am talking about. They think Iran is not a safe country to travel to. Some people think it’s at war or it’s dangerous because of the nuclear stations and the sanctions. They think women cover their face and don’t have any rights. We [Westerners] think Iran is a poor country and Iranians don’t have any modern facilities. But when I went there, I saw the buildings and the construction work, modern roads, cars and more. Many people think Iran is in the same situation as Iraq and Afghanistan, which is not true. Were you afraid to go there? According to what I heard about the country, I had some concerns. I have heard about Iran’s police and the Basij [the Basij militia is an Iranian volunteer force of Islamic government loyalists. It is often called out onto the streets at times of crisis to dispel dissent, or for “moral” guidance]. For instance, I didn’t feel safe to go around with my girlfriend hand in hand. I also was so careful about what I was doing, especially in public places. The first impression was really good. Iranian people are very nice and friendly. When I went to Iran, all the ideas that I had about the country disappeared. I didn’t see the things the media shows. Of course you see people living under the Islamic rules, women cover their bodies but not their faces, and couples don’t hug or kiss on the streets. I think these are parts of the Iranian culture and international tourists should respect them. Iran is a lovely country and I would like to go back there and visit more. I love the food, the people, the weather and the atmosphere, except during the summer, because it is too hot for me. Was it difficult for you to get the visa? The first time, yes. It took me ages to get my visa and actually I got it two days before my flight. It is all about knowing how to get it, because after that I went to the embassy and the process was very easy. Once I also got my visa directly in the airport. Have you had difficulties or bad experiences in Iran? I didn’t have any bad experience in Iran, at all. I remembered that the first time I went to Iran, we walked hand in hand but Nina pulled away her hand a few times, I think she saw someone she didn’t trust. Nina explained to me that she was scared of Iran’s morality police [Gasht Ershad]. 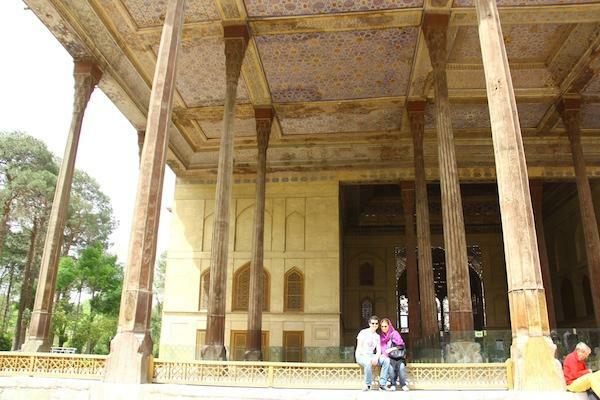 Once, we (me, Nina, Nina’s brother and his girlfriend) traveled from Tehran to Isfahan. We booked a hotel, but according to Iran’s rules, unmarried couple can’t sleep together, so me and Nina’s brother booked one room and the girls booked another one. But at the hotel we switched, so in the registration we were separated, but not in reality. Iranian people don’t talk English, so I couldn’t go out or order food alone. I did buy a sim card by myself and I was lucky because the guy in the shop was able to speak English. No, Iran’s police never stopped me. I respected the culture and the rules, that is why I never had any problems with the police. Do you drive when you go to Iran? I drive in Europe, but I haven’t tried in Iran, it needs some practice. Driving there is not easy, it is a mess, but I might try it next time. Have you ever been to a party in Iran? How are they different to parties in the West? The main difference is that there is no club or disco, so most parties take place in houses. I have been to house parties and it was quite interesting. When we were home, Nina got dressed, wore make up and made up her hair, the same as the women in the West. But after that, she put her manteau on and her scarf on her head. When we got there, Nina went to the changing room and came out without her manteau and scarf. I noticed that usually in houses where there is a party, there is a changing room for females to get dressed and take their manteaus off. The rest of the party was same as normal parties: drinks, dancing, music and a lot of food.There was a lot of food wherever I went as a guest in Iran. Iranians are very good at hospitality. They also serve a special vodka in their parties called Aragh Sagi. It is really strong and I have never tried it before. My parents were always worried about me while I was in Iran. I brought them to Iran this summer and they liked the country and the trip changed their mind. They now like the culture, people, environment and food, like me. This interview has been published on IranWire.